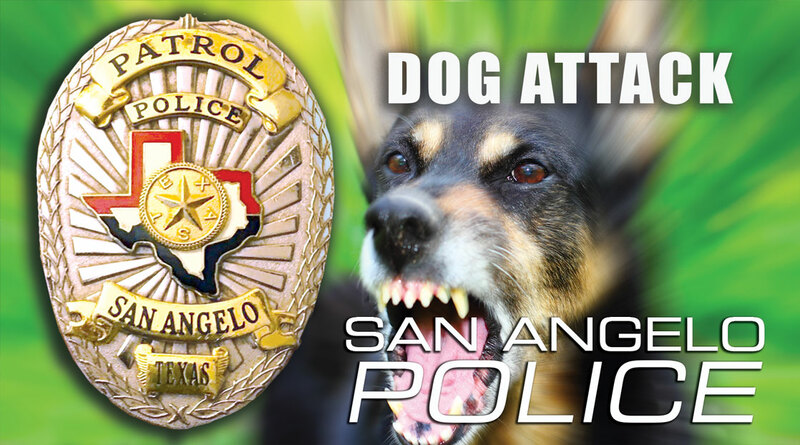 SAN ANGELO, TX-- At approximately 9:45 p.m. on Saturday, April 14, 2018, San Angelo Police were dispatched to the 300 block of East 11th Street for the report of a vicious animal. The caller told Dispatch that three dogs, described as Pitt Bulls, were on top of a man, actively attacking him. The dog’s owner, a 23-year-old San Angelo resident, willingly surrendered the dogs to Animal Control. They have since been euthanized. Animal Control officials have stated they were familiar with the dogs and their owner, citing a March 2018 incident where the dogs were impounded and temporarily quarantined for observation after an attack on a stray dog. The dogs reportedly tested negative for rabies at the time of the March incident. A cousin of the victim called and said he remains in critical condition in ICU and that he has been transported to a hospital in Fort Worth. She said prayers are needed to help him recover. This could have easily been a dead child. The city should require some type of insurance be obtained and maintained once an aggressive animal has been identified. There is no problem with loving animals and having pets but they come with responsibilities. I hope this 23 year old dog owner is able to cover the medical bills for the victim. There is a state law about vicious dogs that require owners of dogs that have attacked people to have insurance on their dogs. I doubt if it is enforced, kind of like the auto insurance laws. East 11th street? I'm going to take a shot in the dark, and say no. Insurance is a great idea, but do you realistically see pitbull owners going out of their way to consider concepts like precautions and consequences? Typical ghetto mentality: We're dirt poor, our backyard fencing in in shambles and we have absolutely no sense of personal responsibility. Let's get one of the most destructive and volatile breeds of dog possible! The pitbull is to the hood rat, what the expensive sports car is to the mid-life crisis. Pretentious posturing. If you're outsmarted by an animal that chews on garbage and howls at sirens, you're not 'badass', you're not 'gangsta' -- you're a f'ing moron. Take the sheet off your face. You may see things differently. Prayers for the victim. You managed to use most of the trigger words used on foxnews. Except for "thug", and the more Presidential sh*t hole. I am not sure if it is a fact, but from my experience having more than one pit bull (or any large dog for that matter) seems to trigger their instinct to hunt a play as a pack. I have seen some of the sweetest, most docile pit bulls do a complete personality switch when with another large breed dog. The US needs to forget about all this gun control crap and focus on what needs to be done. It needs to be a criminal offense in the US to own a Pit Bull...... These dogs are worthless in society and are bred solely for their ability to maim and destroy with their overly muscled jaws. Turn them in for euthanization or pay a $500 bounty to anyone who can produce one alive or dead with no limit as to the amount that can be collected. These dogs/any dog is worth more than half the human population and if the a__holes that get an animal and neglect, abuse and mistreat them were held accountable better yet had a taste of the same treatment they inflict on an animal then maybe things would change. Every time I read about a pit bull attack, I post the same comments, almost word-by-word. Of course, thoughts and prayers to the victim. Hope for a full recovery. But, I really do not understand the hatred coming towards this specific breed. As all pit bull owners would testify, pit bulls are the sweetest, cuddliest, kindest pets anyone could have. They are especially very fond of little children and even more so of babies. Why do we have to make so much noise if some pit bulls kill a couple of hundred people and other animals every year? When did we become so touchy - feely, so wishy - washy? Why is it so easy to blame an entire breed just because of a couple of hundred deaths? I don't understand this. Stop blaming an entire breed for the deaths of people, babies, and other pets. This does, in fact, look like one of their posts. In Dade County Florida, pit bulls became the weapons of choice for gang members until they were banned. The county ban wasn't enough to save Millicent Miller (2012), Carmen Reigada (2015), Nyjah Espinosa (2015), Jocelyn Winfrey (2016) all killed by pit bulls in Dade County after the ban. A state wide one would be far more effective. These dogs are dangerous and expecting rational thinking from the "pitty" crowd is pointless. Anyone who owns one will say all day long how sweet they are. Then when something like this happens, "oh my, he's never done that.......he's so sweet". Stupidity. Own a dog that is well documented for these things then pretend you got the one in a million that is tame. Again, stupidity. And I agree with the multiple dog comment. One is bad enough. Put two or more together and you might as well be ready for a tragedy. Idiots will always find a way to justify being stupid.